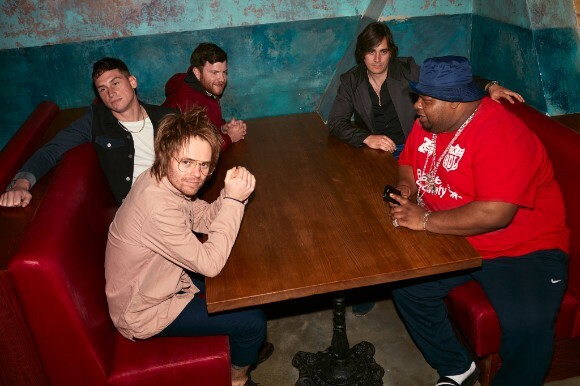 Huge British rock mavericks ENTER SHIKARI have announced their biggest arena tour to date in the UK with the incredible new "Supercharge" track featuring grime legend Big Narstie. The single was premiered on Annie Mac's BBC Radio 1 show as ‘Hottest Record In The World' on Monday. For a listing of their UK arena tour dates: https://www.entershikari.com/shows. The dynamic "Supercharge" was penned last Summer when Reynolds and Big Narstie were introduced by mutual photographer friend Jordan Curtis Hughes. Reynolds then went on to produce the track, assisted by the bands live engineer Tim Morris and it was then mixed by David Kosten (Everything Everything / Bat For Lashes).